TaylorMade M4 Fairway Wood Fujikura Atmos Red Shaft New - Choose Specs! Authorized TaylorMade Retailer! Lowest Price! 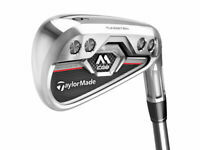 TaylorMade M4 D-Type Driver Men's New - Choose Specs!